According to a rundown on the Official Gmail Blog by Product Manager Sri Harsha Somanchi, less than 0.1% of email that arrives in the average Gmail inbox is spam. Better yet, less than 0.05% of wanted mail winds up being erroneously separated into the spam folder. That's a rate of less than one per two thousand emails. If you want another smart idea for reducing the amount of spam and clutter in your inbox, check out this Gmail alias trick. You should also review these 5 tips for getting the most out of Google Gmail to help you get your inbox more organized. I am a long-time GMail user, and all I can say is that when Google started trying to improve what wasn’t broke, it only got WORSE. First it was that tabbed inbox thing—in the web interface—that they forced on us users. Most of the mailing lists I subscribed to got kicked into spam. Now said mailing lists are just not downloaded into my email client of choice—Microsoft Outlook. I have to go into the web interface and then into All Mail to get messages that should have downloaded into my Outlook Inbox. Is that what YOU call spam filtering or spam control, Mr. Van Allen? Don’t even get me started on the so-called “Security Checkup.” I am told that my email will be “unprotected” unless I use a secure product like… wait for it… “GMail Offline.” No thank you, Mountain View. I’ll stick with what I have control over, not you. Google flunkies and synchophants—I include you in this group, Mr. Van Allen—stop trying to hawk a faulty product and just make the damn thing work the way it should! Give the users control over what lands in their inboxes, spam traps, and so on. If the consumer cannot do that themselves, then show them how. Don’t try to do it for them. However well-meaning that may be, you—big computing—will always f*ck it up. Mr. Van Allen, you could do with less aggrandizement of Google and more reporting of the facts. You know what they are, right? And Google, GIMME BACK MY INBOX! And all of your emails should sync just fine with Outlook if you have it set up right, even your spam folders. I run Gmail with Outlook - no problems. If you’re not seeing your spam folder in Outlook, right click on your top level account folder in Outlook, click IMAP Folders and make sure your spam folder is “Subscribed”. We’re not here to aggrandize Google, but if you’re going to denigrate it or, more importantly, denigrate us, at least know what you’re talking about. My “tabbed inbox feature” is turned off—and has been since I figured out how. Whether I use IMAP or POP3 should not be an issue. My original point—which I will restate—is that I am not getting all the incoming email messages from my GMail Account that I should. This only started happening after Google decided it had to “fix” what in my opinion was never broken. When I subscribe to a newsletter, I should not have to go looking in my Spam or All Mail folders on the web to find what should have been downloaded to my email client of choice. I should not have to “train” GMail to deliver email and newsletters I explicitly subscribed to. I am not denigrating GMail. I am calling attention to its flaws. Going by the age-old principle “where there is one there will be others,” I am not the only person who has this problem—just the only one who has posted publicly about it. Nor am I denigrating Techlicous. I am challenging your reporting methods and writing style. With all technology there is good and bad, and I believe users should be told both the good and the bad so they can make the best decisions for their individual situations. That is not denigration. That is telling the truth. This is still America, right? We do still have the right to free speech, right? Gmail’s spam filtering is heavier than we would like - the Techlicious daily newsletter goes to some subscribers’ spam folders - but we also understand that Google doesn’t know what we did or did not sign up for, so it has to make guesses. And sometimes it makes the wrong assumption until the Gmail user tells it otherwise. 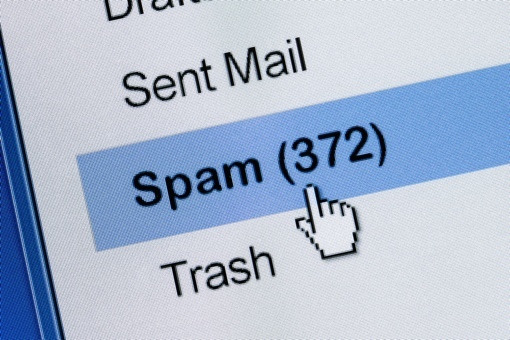 Google also learns from other users, so if a lot of Gmail users are flagging a certain newsletter as spam, it is more likely to be sent to spam in your mailbox, too. But it’s the “training” you don’t like that allows you to flag something as valid even though others see it as spam, and vice versa. As far as going on the web to get your mail, you shouldn’t need to do that. All of your GMail, including spam, can be downloaded directly to Outlook by ensuring your syncing the GMail Spam folder in your IMAP folder settings. See my comments above for how to do that. You can then move items from Spam to your Inbox in Outlook and those changes will sync back up to GMail (assuming you’re using IMAP and not POP), helping Google to learn which items you don’t consider spam. As far as free speech, the right protected by the Constitution is specifically a right that protects us from GOVERNMENT curtailment of speech, not PRIVATE curtailment. So, technically, we can curtail free speech all we want on Techlicious, though our goal is to always support open and free conversations that stay within the bounds of civility and appropriateness. All spam goes into the trash. But it’s still there. Hogging up my storage space. You can not configure gmail to either auto delete or simply not download spam. It isn’t really filtered at all. It’s just hidden out of sight. And this is good….how?? ?